LIMITED TIME SPECIAL! All BLACK FLAME PITCHING MACHINES and 2 FREE REPLACEMENT SPRINGS! You save $45.95 It is just like lowering the price down to a ridicules 153.05. WOW!!! Spring offer only available for online orders through this site! AVAILABLE NOW. LIMITED TIME SPECIAL! 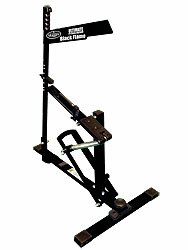 All BLACK FLAME PITCHING MACHINES and 2 FREE REPLACEMENT SPRINGS! You save $45.95 It is just like lowering the price down to a ridicules $153.05 WOW!!! Spring offer only available for online orders through this site!